The neighbor’s two dogs accompanied me on my after work walk. Here’s one of them. 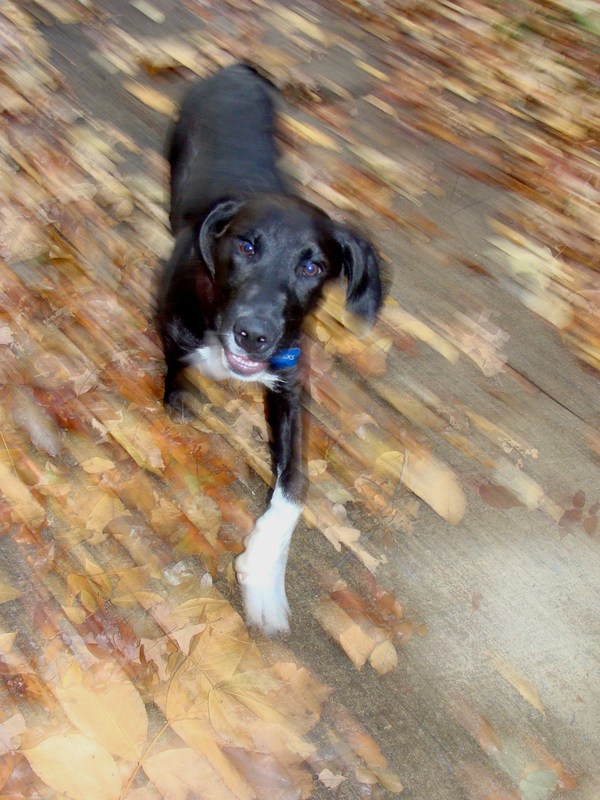 This little bundle of energy will wear anyone out -- except himself. 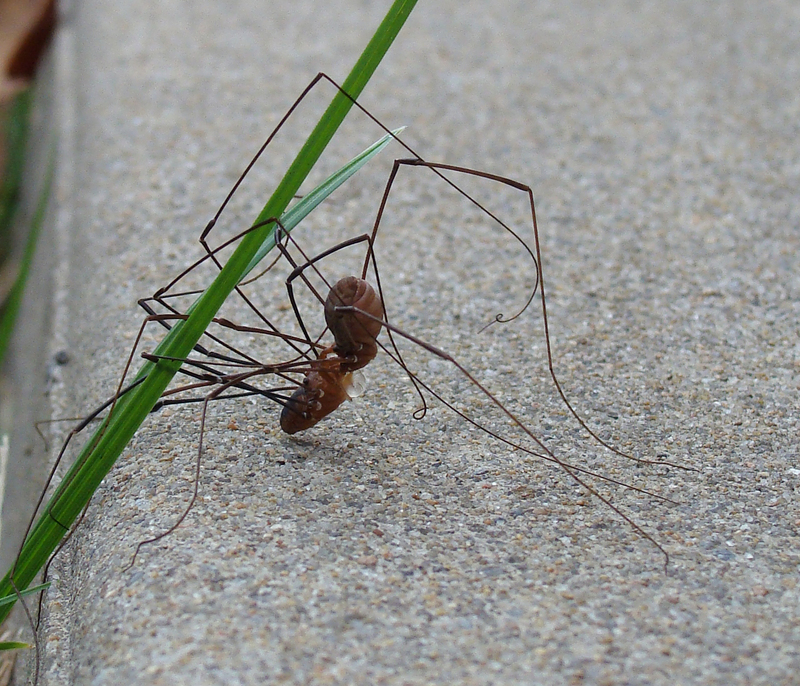 Daddy longlegs locked in mortal combat. Battle of the titans on the sidewalk. Mother Nature is making up for lost time, after months of dry weather, sending wave after wave of storms on Oct. 24. 1/2 MILE SOUTH OF LAWSON RD. DOWN...AND PART OF A BARN ROOF WAS BLOWN OFF. 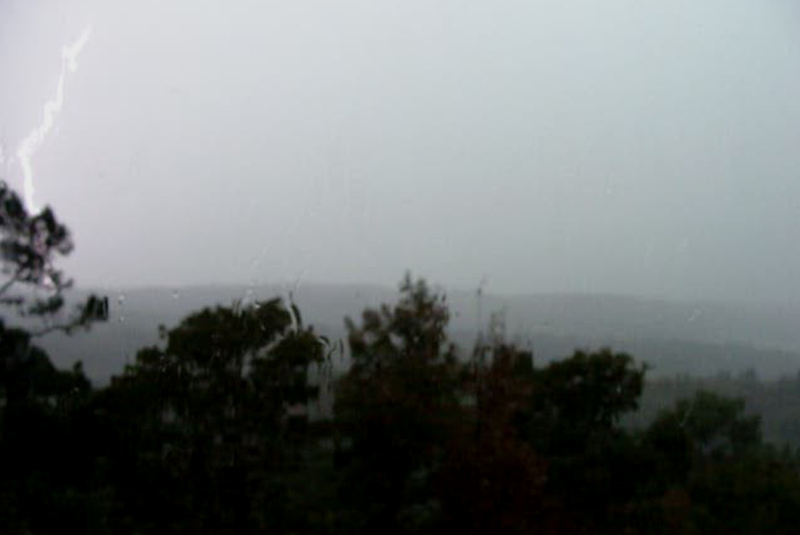 Lightning streaks across the sky as another wave of storms rakes across Arkansas. When moisture from the warm Gulf of Mexico meets cold air from the north and west, severe thunderstorms are likely. Sometimes, they give birth to tornadoes. One such storm cropped up mid-afternoon today. Here on Round Mountain, we had a front row seat as the wall cloud moved eastward, pelting us with pea-sized hail and cracking the sky with frequent lightning. The National Weather Service is still receiving damage reports. Some 15,000 people are reported without power, with trees down, one car overturned with children inside (the children were rescued and reported to be OK, but probably scared out of their wits), and damage to buildings downtown. 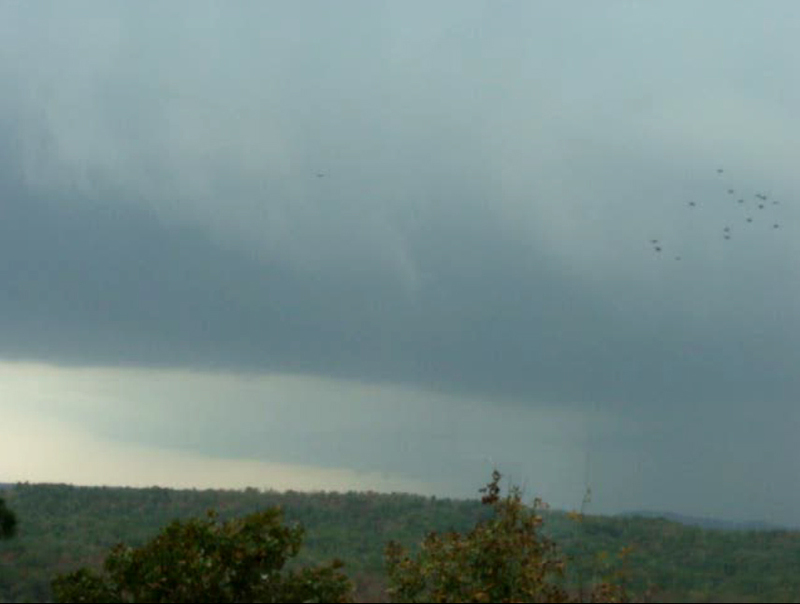 The rain-free area to the left precedes what was turning into a wall cloud (dark area to the right) that produced a tornado that tracked some 15 miles through Little Rock on Oct. 24. A stroke of lightning bolts through the sky as the storm intensifies. 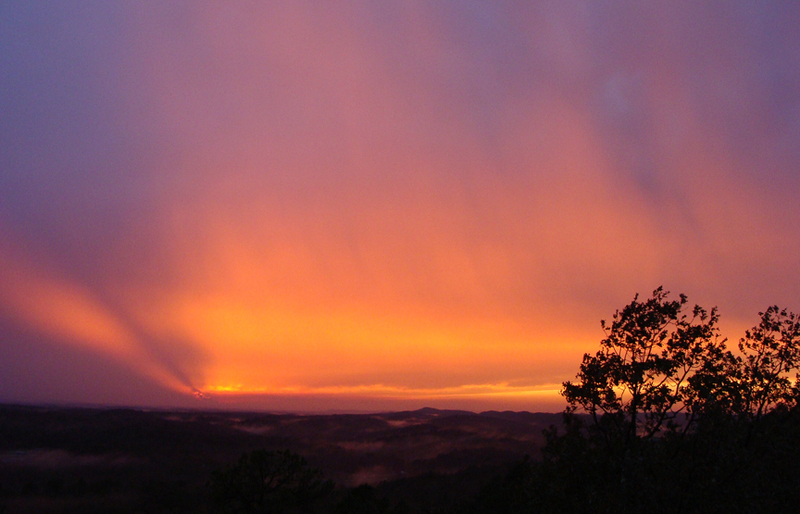 Spectacular sunset between storms, as we await a second storm system that has already produced a tornado in SW Arkansas. 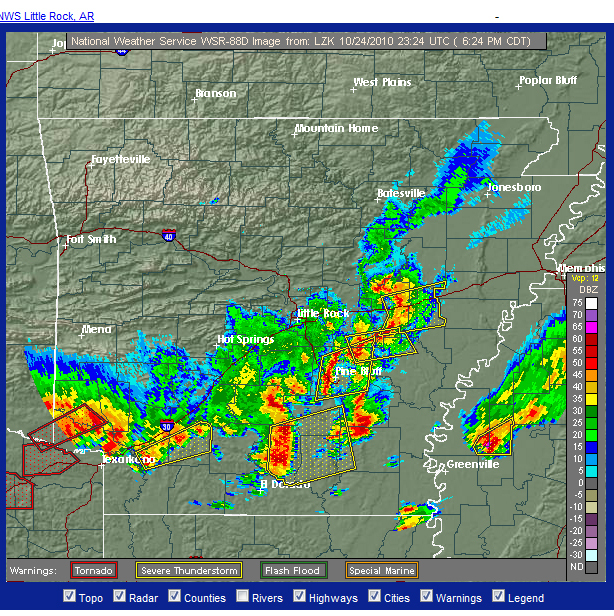 Red boxes for tornado warnings and yellow boxes for severe thunderstorms track like footprints across Texas and Arkansas. After a long, thirsty summer, we welcomed a widespread rain last night. It’s been a long time since there was enough moisture to see droplets cling to petals, leaves and even insects. The cooler fall temperatures are also encouraging regrowth. Volunteer dill, sorrel and clover are all coming back to life. 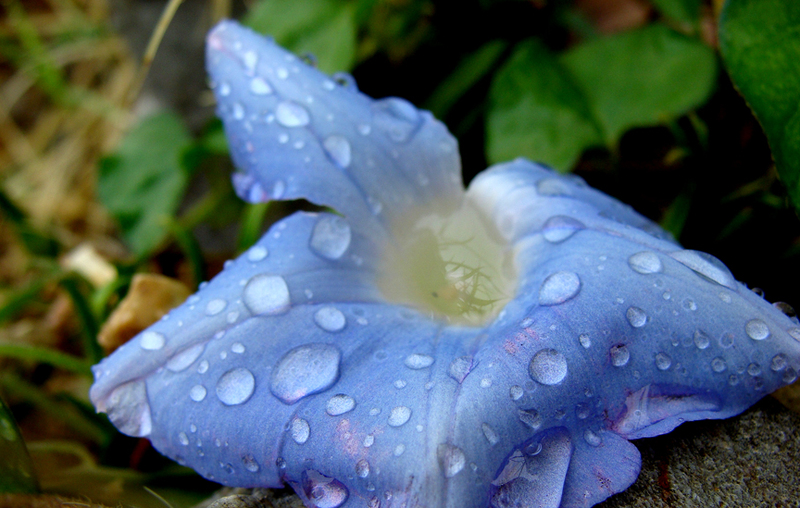 A rare sight -- late season morning glories covered in rain. 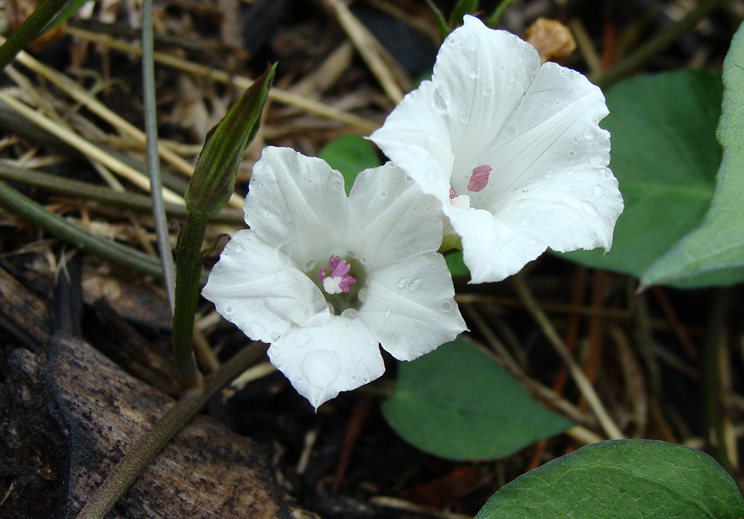 White morning glories make a comeback in the cooler fall temperatures. 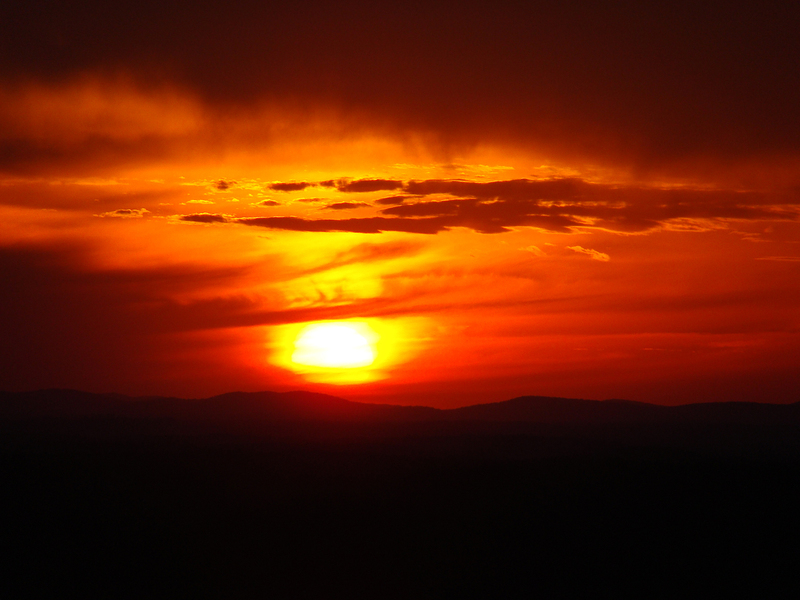 Alas, I’m falling into a photographic rut. Wrong places, wrong times. These are the best of the day. 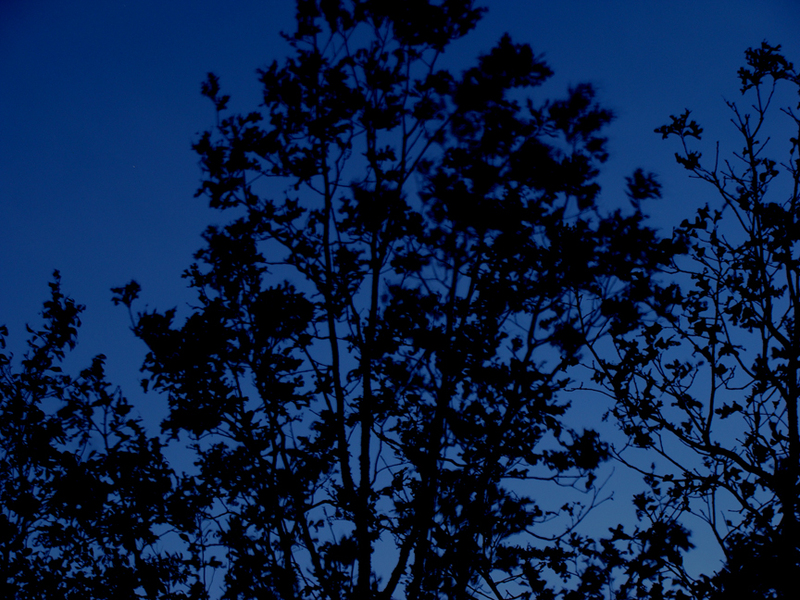 A breeze ruffles some of the leaves after sunset. 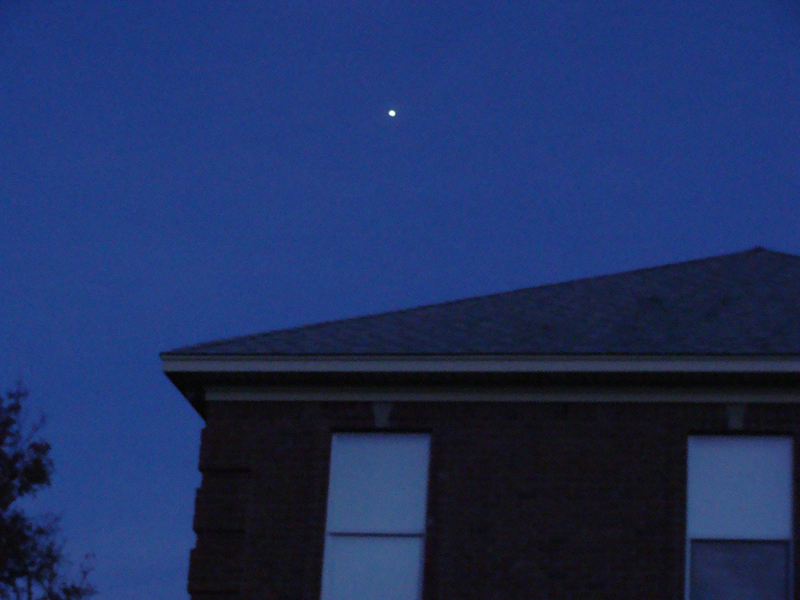 Jupiter (maybe) makes a brief appearance before the clouds roll in. 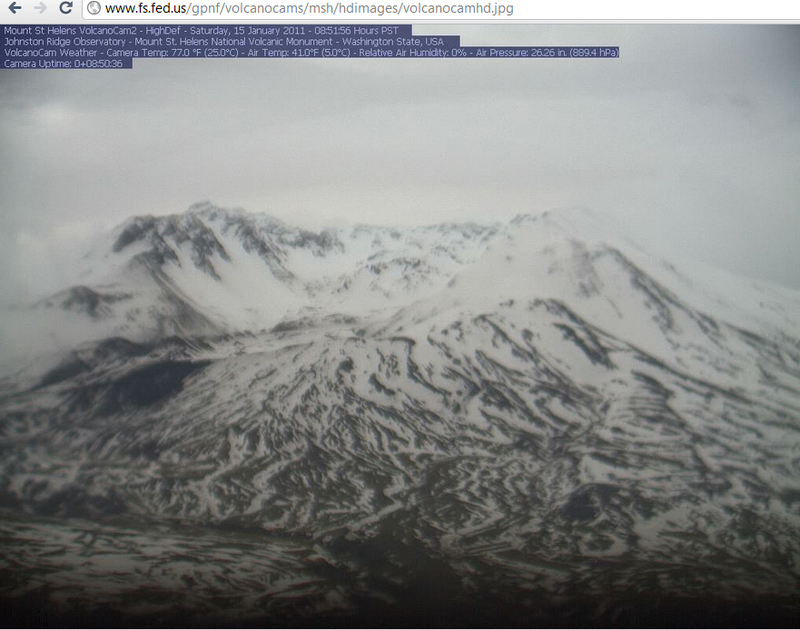 Checked in to the volcano cam on Jan. 15 and voila! The mountain reappeared! We were fortunate enough to visit Mount St. Helens in 1998, but haven’t made it back since then. 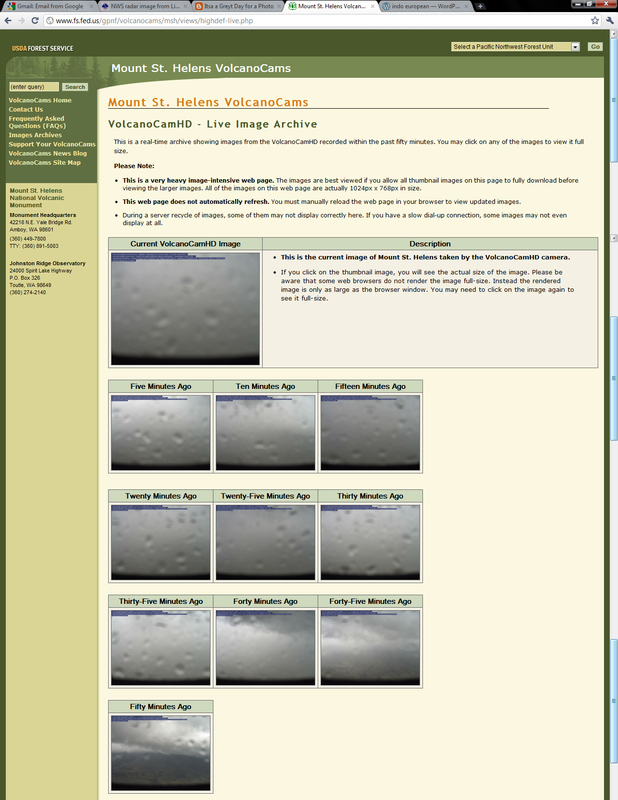 Volcano fans can enjoy a virtual visit, thanks to the National Park Service webcams. However, even web technology has its limits. Moisture won the day today. 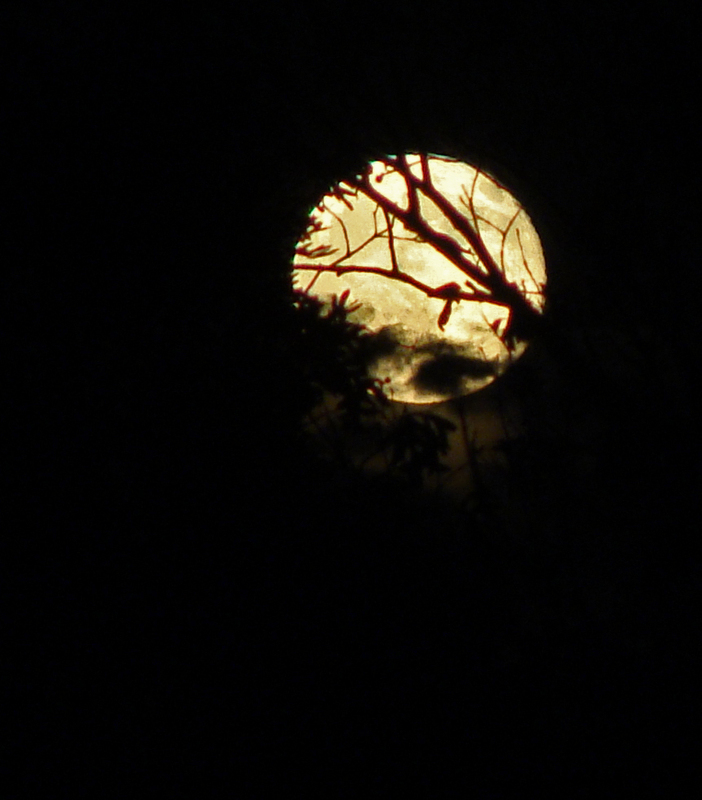 October’s full moon is well ahead of Halloween, rising on Oct. 22. 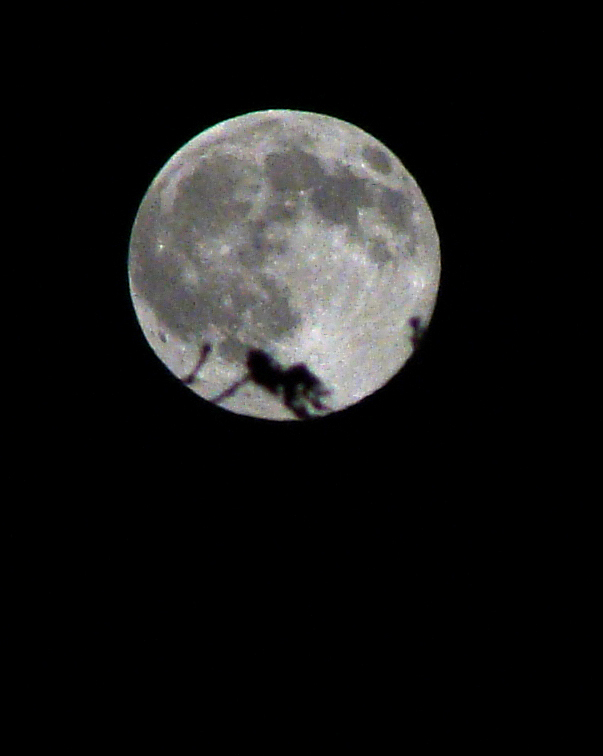 Full moon puts leaves in silhouette. Fall color is everywhere in the Ouachita Mountains. Oct. 17 sunset looks like fire in the sky. 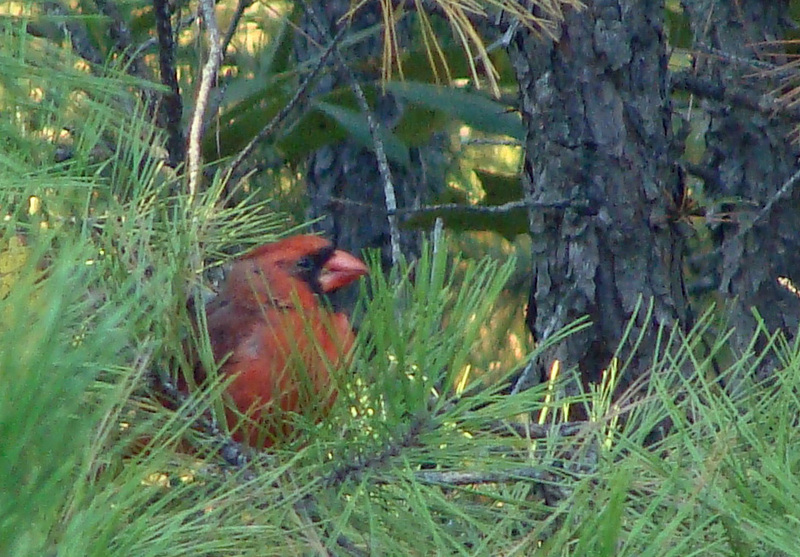 Cardinal takes in his world from the branch of a pine tree. 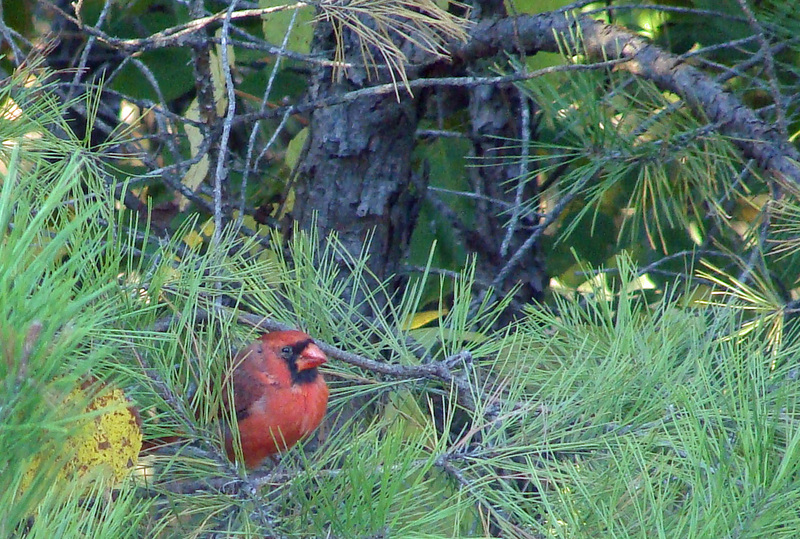 A cardinal keeps an eye on the world from a pine branch. Red sumac lives up to its name. My adventurous cousin has provided more photos from her extensive sojourn in China, this time in Xi’an in central China, whose settlement dates back at least to the neolithic. 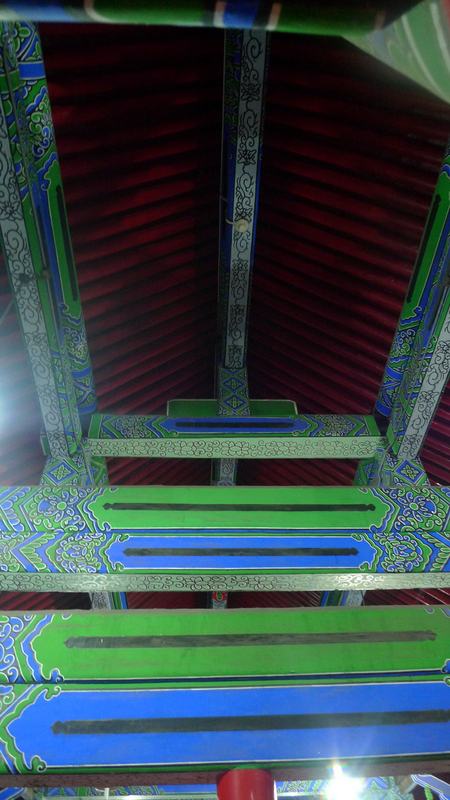 Elaborate designs and bright colors mark these roof trusses in Xi'an. 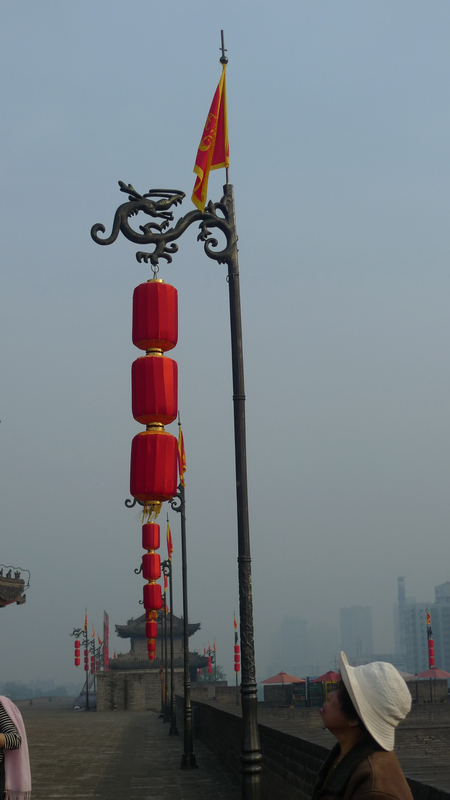 Red lanterns grace the streets in Xi'an. 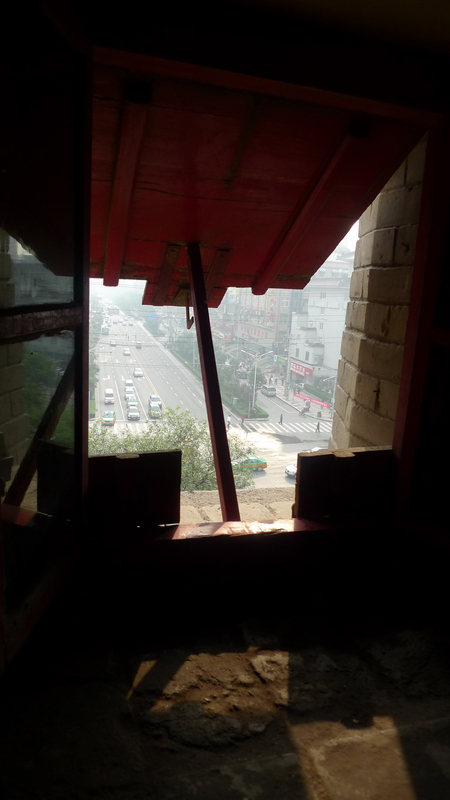 A window in an ancient building opens onto the modern in Xi'an. 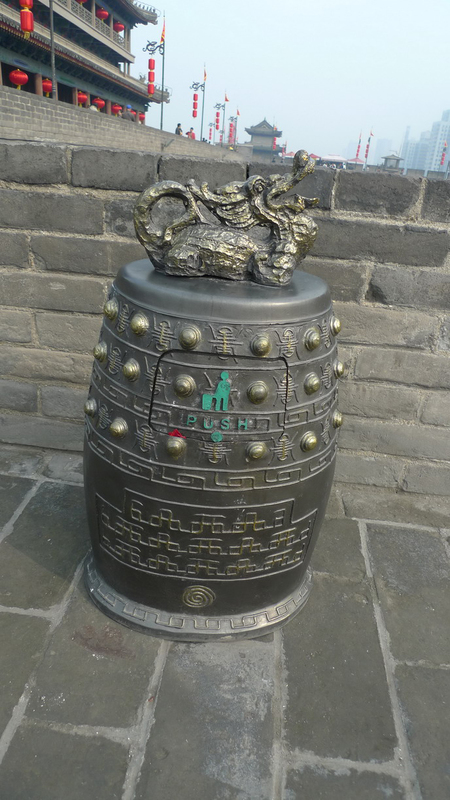 Even the garbage cans are beautiful -- this dragon-topped bronze garbage can cover keeps the aesthetics right in Xi'an.